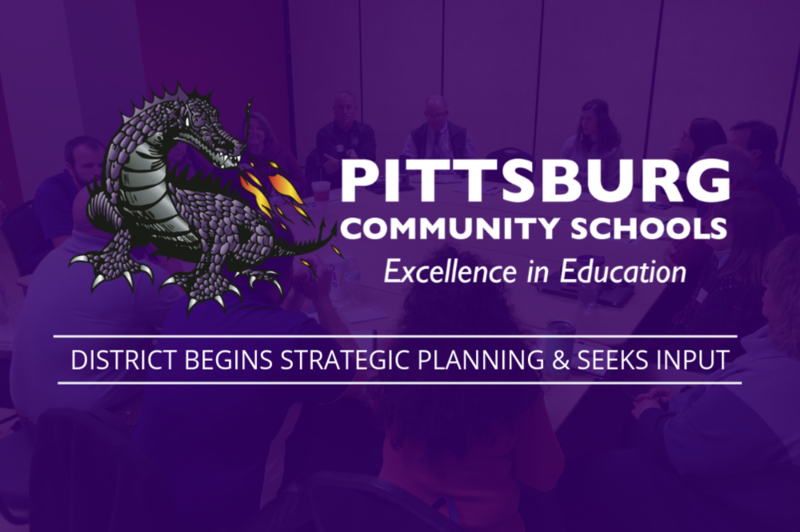 On Monday, November 26th, Pittsburg Community Schools began its strategic planning process with about 75 community members ranging from students, parents, business leaders, non-profits, and teachers. It's been eight years since the last strategic plan. "What we are asking is 'what is the profile of a graduate? '," Rich Proffitt, Pittsburg Community Schools superintendent said. "We are wanting feedback on what attributes we want all of our kids to have when they leave our school system." The District is continuing to gather information and, in a second meeting, the group will look at feedback and narrow the ideas down to five or six main points then create benchmarks to reach goals based on those ideas. "The District is looking at a lot of different areas as to what we need to do from interpersonal, intrapersonal, and cognitive skills to communication initiatives between students, parents, teachers, the district, and the community," Proffitt said. After those goals are discussed, there will be a special board meeting so the Board can work that document and approve it as the strategic plan.